There are simpler and more eloquent ways to live, learn, work and play in spite of the fact that this is not apparent in the modern world today. This is achieved through increased levels of awareness, attention to detail and a heightened sense of life's deep harmony, interconnectedness, order and beauty. We experience and manifest this through selfless service, when our words and actions make the world a better place, when we are being creative, truly authentic with ourselves and others and when we are passionately learning, living and loving. By simply aligning ourselves with the way life naturally works, we automatically tap into the quantum world and its underlying timeless holistic principles and practices and cultivate and develop the skills we require. These principles and processes work everywhere and at all times because they are universal dynamics shared by all living things. My passion for music as a multi instrumentalist has and continues to fuel my musical explorations and discoveries for ways in which simple objects can be transformed into musical instruments capable of producing unique sounds, overtones, harmonies, riffs and even well known tunes and songs. I have done this with monotone instruments such as the Vuvuzela and Australian didgeridoo and also with seemingly non musical objects such as pipes, straws, bottles and gum nuts. My most recent musical 'aaha' is probably the first time that the majestic OAK tree has ever been serenaded in this way. 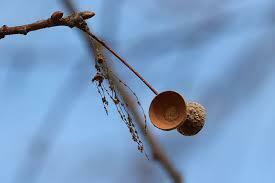 I use the acorn CUPULA which is the dome shaped cap on the top of the acorn to produce the sounds and musical notes. It has a diameter of between 16 and 20mm. It is used to create the sounds and notes and also serves as a resonating and amplifying chamber like a flute or whistle. Using the cupula I play tunes DIRECTLY into every part of every leaf, twig, branch, stem and root of the tree... see tree picture above, and video below. What I am actually doing is SOUNDING into a giant HOLOPRINT or dendritic network structure that includes every part of the tree both above and below the ground!! The relatively high pitched sound vibrations and frequencies are created by my breath(life force) and transported through the WATER that permeates the entire tree. These sound waves travel 4.3 times faster through water than through air at the mind boggling speed of around 1498 meters/sec or 5 392 km /hour through the entire tree. These sound frequencies include combinations of whistling, whistle echos, vocal overtones and fluting notes. A range of 10 relatively high pitched notes in the Western chromatic scale can be produced. There is growing scientific evidence that plants are communicating with and responding to other plants, insects and external sound sources. The physical size and longevity of trees accords them the most majestic and revered life form status on earth. For this reason humans have historically honored and celebrated trees in countless sonic rituals and ceremonies. I am very happy and honored to have made this discovery and to be able to serenade the regal Oak which is one of my favorite trees. Am also excited by what might emerge through this sharing... hopefully it will be of interest to nature lovers, tree admirers and open minded interspecies communication explorers. Many times before the wise old Oak has felt the vibration of the wind through it's leaves, branches and even across the cup of a dropped acorns capula. Now a tall wise, earth walker finds a way to amplify that sound. 'Hello mighty Oak, as I breathe notes of resonance and re-assurance into You and down into the earth, may they rise up again through the soles of my feet, reminding me always of our sacred connection to Mother Nature'. Aren't we all bordering on being legally insane these days? I'm very curious to see the video clip... And if curiosity is the first thing you unlock in people... Then I'll say you're on the right path! There is a fine line between genius and the insane, you might have erased that line! Kom ons kom almal bymekaar by n eikeboom in die maanlig met kerse en luister na jou en die boom really SHARING life and being human. Your relationship with the 'mighty oak' is profound and well understood. 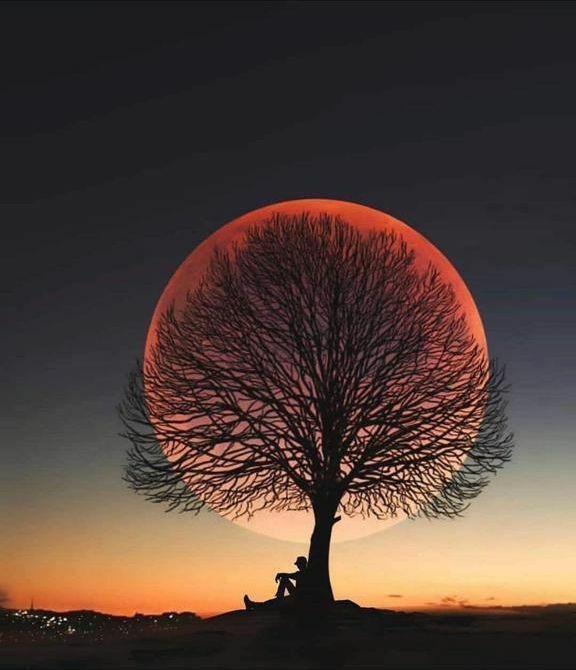 Serenading the tree, as you explain it so gracefully, must be one of the most fulfilling experiences. The silhouette picture against the celestial body says it all. I look forward to the video. Bruce, I absolutely love this concept....I'm always intrigued by your exploits. Absolutely ingenious! Will contemplate - and share. I know you as a man of many parts but an oak tree serenader or tree whisperer is a revelation of note. Can't wait to hear and see the video. Thanks for sounding me out (excuse the pun)... the mere fact that you are exploring and experimenting with a different means of creating sound is interesting. I have always found your difference and quirkiness/uniqueness appealing which makes me want to listen and pay attention. Very excited about this and what portends for trees one of the most misunderstood and abused species on the planet. Would love to see you in action and also talk with you of where you think this could go. Extreme music adorers will always be considered to be slightly mad by those who cannot hear the music but so what. It sounds a beautiful thing so don't stop - ever! And... what we did at AfrikaBurn 2013! Is your forthcoming conference, launch, indaba, wedding, party or reunion in danger of being conventional, mundane, boring, more of the same and devoid of any originality, essence and meaning? Dr Bruce Copley, the internationally acclaimed holistic edutainer, and his talented associates masterfully transform any occasion or gathering into an extraordinary and unforgettable experience. This is achieved through their unique holistic approach... Read More! For the past 20 years AAHA Learning & Associates have been creating extraordinary learning adventures for 1000's of people all over the world - Pushing the limits of education - Exploring new ways of applying holistic principles to many disciplines & learning situations. Find out more about this dynamic organization - How we may be of assistance to you - Tailor Made Courses on a Wide Range of Themes & Topics. A holoprint of ideas & starting points for ideas - digital driftwood waiting to wash up on your mind. Einstein said 'Imagination is more important than knowledge' - creativity is the missing link. Use 'The Holoprint' as a brainstorming tool - allow the ideas to plant seeds, for your own ideas.